MOSCOW, October 10 (Itar-Tass) - Russian Foreign Ministry official spokesperson Alexander Lukashevich said on Thursday that a failure to convene an international Geneva-2 peace conference on Syria would have irreversible and destructive consequences not only for Syria but the whole region. “The situation with the number of participants in the conference, especially those representing the Syrian opposition, is complicated,” the Russian diplomat said. “The Syrian government has agreed on the composition of its delegation, which will be authorized to conduct talks with the opposition,” Lukashevich went on to say. “As for the opposition, there are more questions than answers. The composition of their delegation is still unclear,” the diplomat noted. The Russian Foreign Ministry spokesman said that some countries were trying to form that delegation exclusively out of the National Coalition of the Syrian Opposition and Revolutionary Forces which, he believed, would not reflect the opinion of the whole opposition. 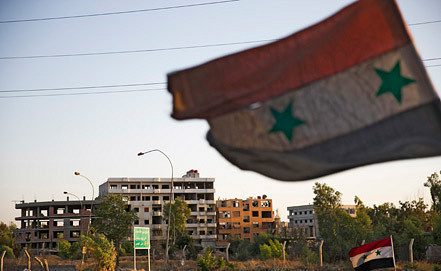 Lukashevich recalled that the Geneva communiqué said that the composition of the Syrian delegations should respect the entire spectrum of Syrian society. Asked to comment whether the inability of the opposition to send a delegation to Geneva would mean the conference’s fiasco, Lukashevich suggested refraining from such fatal scenarios. “Today, we are facing broader tasks. It is unlikely that anybody is calling the idea of the conference into question,” Lukashevich said. “We believe that they (the opposition) must create an efficient team that would be able to search for an agreement in order to resolve the tasks related to Syria’s future. Otherwise, the situation will become destructive for the whole region,” Lukashevich stressed.